In August 2014 there was a wonderful story of how “people power” had freed a man in Perth, whose leg had become caught in the gap between a platform and train on his morning commute. You can watch the video here. What struck me about this story was that people taking part in their “regular” commute noticed something out of the ordinary and used their combined energy to free the man. Someone alerted the driver to make sure that the train didn’t move, staff then asked passengers to help and in tandem they rocked the train backwards from the platform so it tilted and his leg could be freed. It made me think about the gaps people are stuck in, that exist all around us, that have become so routine, that we are habituated to, and fail to notice. One of the biggest gaps is in the health outcomes between Indigenous and non-indigenous people in settler nations. Oxfam notes that Australia equals Nepal for the world’s greatest life expectancy gap between Indigenous and non-Indigenous people. This is despite Australians enjoying one of the highest life expectancies of any country in the world. Indigenous Australians (who numbered 669,900 people in 2011, ie 3% of the total population) live 10-17 years less than other Australians. In the 35–44 age group, Indigenous people die at about 5 times the rate of non-Indigenous people. Babies born to Aboriginal mothers die at more than twice the rate of other Australian babies, and Aboriginal and Torres Strait Islander people experience higher rates of preventable illness such as heart disease, kidney disease and diabetes. One of the most galvanising visions for addressing the health and social disparities between Indigenous and non-indigenous people is The Close the Gap campaign aiming to close the health and life expectancy gap between Aboriginal and Torres Strait Islander peoples and non-Indigenous Australians within a generation. By 2030 any Aboriginal or Torres Strait Islander child born in Australia will have the same opportunity as other Australian children to live a long, healthy and happy life. Nurses play an important role in creating a more equitable society and have been forerunners in the field of cultural safety and competence. For the gap to close, nurses need an understanding of health that includes social, economic, environmental and historical relations. Cultural safety from Aotearoa New Zealand has been an invaluable tool for me as nurse for analysing this set of relations. However, as a newcomer to Australia, I have a lot to learn about what cultural competency means here and how I fulfil my responsibilities as a nurse educator to Aboriginal and Torres Strait Islander peoples. 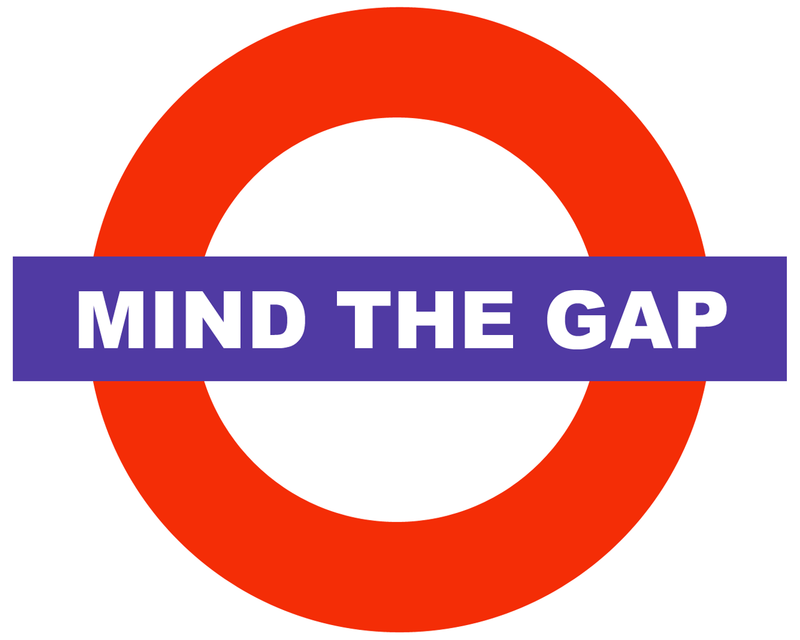 To that end, this blog piece focuses on some of the frameworks in nursing that might enable nurses to close the gap. I am particularly interested in frameworks that enable nurses to widen the lens of care beyond the individual and consider service users in the context of their families and communities and broader social and structural inequities. I’m also interested in policy frameworks that can support practice. A social determinants of health approach takes into account “the circumstances in which people are born, grow up, live, work and age, and the systems put in place to deal with illness. These circumstances are in turn shaped by a wider set of forces: economics, social policies, and politics” (WHO, 2010). A health equity lens has also been invaluable to my own practice, it refers to the absence of systematic disparities in health (or in the major social determinants of health) between groups with different social advantage/disadvantage. Social inequalities refer to “relatively long-lasting differences among individuals or groups of people that have implications for individual lives” (McMullin, 2010, p.7). While an inequity, refers to an unjust distribution of resources and services. 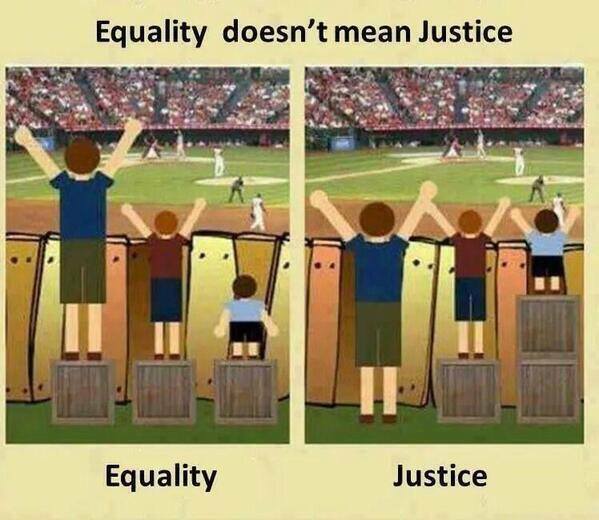 “equity means social justice” (see, Braverman 2003). The term “social and structural inequities,” refers to unfair and avoidable ways in which members of different groups in society are treated and/or their ability to access services. 4.5 understanding that such power imbalances can be examined, negotiated and changed to provide equitable, effective, efficient and acceptable service delivery, which minimises risk to people who might otherwise be alienated from the service. The nursing profession recognises the universal human rights of people and the moral responsibility to safeguard the inherent dignity and equal worth of everyone. This includes recognising, respecting and, where possible, protecting the wide range of civil, cultural, economic, political and social rights that apply to all human beings. The nursing profession acknowledges and accepts the critical relationship between health and human rights and ‘the powerful contribution that human rights can make in improving health outcomes’. Accordingly, the profession recognises that accepting the principles and standards of human rights in health care domains involves recognising, respecting, actively promoting and safeguarding the right of all people to the highest attainable standard of health as a fundamental human right, and that ‘violations or lack of attention to human rights can have serious health consequences’. In recognising the linkages and operational relationships that exist between health and human rights, the nursing profession respects the human rights of Australia’s Aboriginal and Torres Strait Islander peoples as the traditional owners of this land, who have ownership of and live a distinct and viable culture that shapes their world view and influences their daily decision making. Nurses recognise that the process of reconciliation between Aboriginal and Torres Strait Islander and non-indigenous Australians is rightly shared and owned across the Australian community. For Aboriginal and Torres Strait Islander people, while physical, emotional, spiritual and cultural wellbeing are distinct, they also form the expected whole of the Aboriginal and Torres Strait Islander model of care. The focus is on the individual and personal, rather than the historical and institutional nature of such individual and personal contexts. the health and cultural wellbeing of Aboriginal and Torres Strait Islander peoples within mainstream health care settings warrant special attention. Cultural Respect is the: recognition, protection and continual advancement of the inherent rights, cultures and tradition of Aboriginal and Torres Strait Islander Peoples. …. [it] is about shared respect …. [and] is achieved when the health system is a safe environment for Aboriginal and Torres Strait Islander peoples and where cultural differences are respected. It is commitment to the principle that the construct and provision of services offered by the Australian health care system will not compromise the legitimate cultural rights, values and expectations of Aboriginal and Torres Strait Islander peoples. The goal is to uphold the rights of Aboriginal and Torres Strait Islander peoples to maintain, protect and develop their culture and achieve equitable health outcomes. Knowledge and awareness, where the focus is on understandings and awareness of history, experience, cultures and rights of Aboriginal and Torres Strait Islander peoples. A focus on changed behaviour and practice to that which is culturally appropriate. Education and training and robust performance management processes are strategies to encourage good practice and culturally appropriate behavior. Strong relationships between Aboriginal and Torres Strait Islander peoples and communities, and the health agencies providing services to them. Here the focus is on the business practices of the organization to ensure they uphold and secure the cultural rights of Aboriginal and Torres Strait Islander peoples. Equity of outcomes for individuals and communities. Strategies include ensuring feedback on relevant key performance indicators and targets at all levels. What I like about this framework is that it goes beyond attitudes and knowledge-based to also demand changed behaviour and action that leads to culturally safe healthcare for Aboriginal and Torres Strait Islander peoples. Central to cultural respect is the need for organisations to engage with and seek advice from local Aboriginal or Torres Strait Islander communities. Defined by the Victorian Health Department as: The capacity to respond to the healthcare issues of diverse communities. 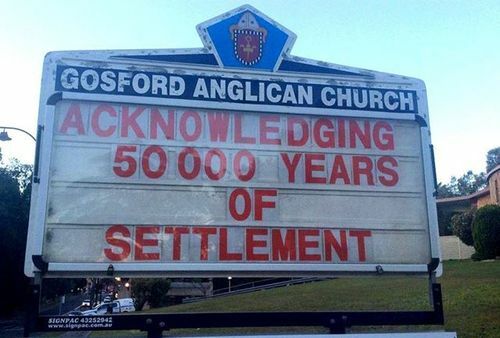 This term broadly considers diversity rather than the unique needs of Aboriginal and Torres Strait Islander peoples which are a consequence of colonialism and racism. The Australian National Health and Medical Research Council (NHMRC)’s Cultural Competency in Health: A guide for policy, partnerships and participation supports the notion of the capacity of the health system to improve health and wellbeing by integrating culture into the delivery of health services, but the scope of the document does not extend to cultural competency as applied to Aboriginal and Torres Strait Islander health care. Government interventions to address health inequities are being deployed in tandem with neoliberalism and economic globalisation, which push back responsibility to individuals. Now, more than ever, attention needs to be paid to power relations and structures that contribute to inequality in society and injustice within nursing, using approaches that consider equity and the social determinants of health. 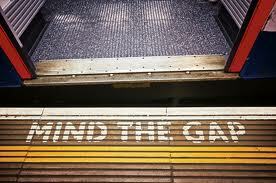 I personally am looking forward to the day when we don’t need this sign, because there isn’t a gap. Dr Tom Calma’s (Aboriginal and Torres Strait Islander Commissioner ) Social Justice Report 2005 instigated a human rights-based approach Campaign to close the gap in life expectancy between Indigenous and non-Indigenous Australians (up to 17 years less than other Australians at the time). This report called on all Australian governments to commit to achieving equality of health status and life expectancy within a generation (by 2030). A coalition drawn from Indigenous and non-Indigenous health and human rights organisations formed the Close the Gap Campaign, which was launched in April 2007 by Catherine Freeman and Ian Thorpe, the Campaign’s Patrons. The CTG Campaign is currently Co-Chaired by the Aboriginal and Torres Strait Islander Social Justice Commissioner Mick Gooda and Co- Chair of the National Congress of Australia’s First Peoples, Kirstie Parker. The Campaign Steering Committee is comprised of 32 health and human rights organisations. The members of the Campaign Steering Committee have worked collaboratively for approximately nine years to address Aboriginal and Torres Strait Islander health inequality through two primary mechanisms: attempting to gain public support of the issue and demanding government action to address it. http://amptoons.com/blog/files/mcintosh.htmlWhat kind of Asian are you? Aboriginal and Torres Strait Islander peoples are the first inhabitants of Australia. Aboriginal people are extremely heterogenous groups differing in language and tradition. Torres Strait Islander peoples come from the islands of the Torres Strait, between the tip of Cape York in Queensland and Papua New Guinea but who may live on mainland Australia. The term ‘Indigenous’ is often used to refer to both Aboriginal and Torres Strait Islander peoples. In the spirit of being both relational and political then I’d like to share with you my learning about cultural competency and Aboriginal and Torres Strait Islander health care.